Born: 1857, Lowestoft, East Anglia, United Kingdom. Died: 22 October 1940, Place not known. 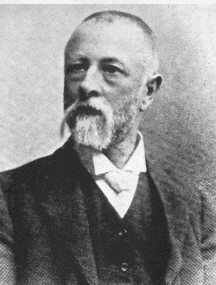 George Estell (or Estill) Cook served his apprenticeship in pharmacy in London, qualified in Cape Town, and was licensed to practice as a chemist and druggist in the Cape Colony on 10 February 1879. He worked for E.J. Mieze in King William's Town for a time and later took over the business. This was probably in 1882, when he is said to have started business as a manufacturing chemist and druggist. His financial success was partly owing to the fact that he had the sole manufacturing rights for "Orsmond's Great African Remedy" - an extract of roots patented by Mr. W.C. Orsmond in 1886, which Cook produced on a large scale. He was a leading figure in the town: Elected as mayor twice, he was also a justice of the peace, a skilled photographer, and a prominent freemason. At a meeting of pharmacists of the Eastern Cape in King William's Town on 13 June 1885 it was resolved to form the South African Pharmaceutical Association "for the protection of the rights and interests of chemists in this Colony". Cook, who took an active part in the proceedings, was elected temporary honorary secretary and with a Mr. Lumsden drew up the rules of the Association. At its first general meeting on 17 July he was elected as honorary secretary and treasurer. He subsequently served as president or as vice-president during many years of membership. In 1911 the Association changed its name to the Eastern Districts Pharmaceutical Association. During its jubilee year in 1935 a special presentation was made to Cook, who was referred to as "the founder of organised pharmacy in South Africa". He was still listed as a practising pharmacist in King William's Town in 1926. Cook had a special interest in medicinal plants. He was proposed as a member of the King William's Town Naturalist's Society at a meeting on 23 December 1885 and at that same meeting presented the society with a valuable collection of medicinal plants, with examples of the portions of plants from which various drugs were made. In August 1882 Cook married Annie Sharp McMillan in King William's Town. Cape of Good Hope Government Gazette, 9 January 1885, pp. 44-45: List of licensed chemists and druggists in the Cape Colony. Grahamstown Journal, 22 June 1885, p. 3: Pharmaceutical Association. Kaffrarian Watchman, 17 June 1885, p. 3; 22 July 1885, p. 3: South African Pharmaceutical Association. King William's Town Naturalist's Society. Minute Book, 23 December 1885. Medical and Pharmacy Register for the Colony of the Cape of Good Hope. Cape Town: W.A. Richards & Sons, 1893. Pietermaritzburg Archives Repository, Vol. NMC 34, [list of medical practitioners, dentists, and chemists and druggists in the Province of the Cape of Good Hope, as on 31 December 1915]. Randles, B.M. A history of the Kaffrarian Museum (p. 2-3). King William's Town: The Kaffrarian Museum, 1984. Rootsweb: South Africa Eastern Cape L Archives. Retrieved from http://archiver.rootsweb.ancestry.com/th/read/SOUTH-AFRICA-EASTERN-CAPE/2007-05/1178544584 on 25 April 2016. Ryan, M. A history of organised pharmacy in South Africa, 1885-1950. Cape Town: The Society for the History of Pharmacy in South Africa, 1986.